OctPoWriMo 2018: OctPoWriMo Day 21: Poetry Prompt: "I was here...."
OctPoWriMo Day 21: Poetry Prompt: "I was here...."
I spent last weekend at Morro Bay along the Central California Coast. On both Saturday and Sunday morning I could be found nestled in the dunes along the beach, waiting to greet the new day. 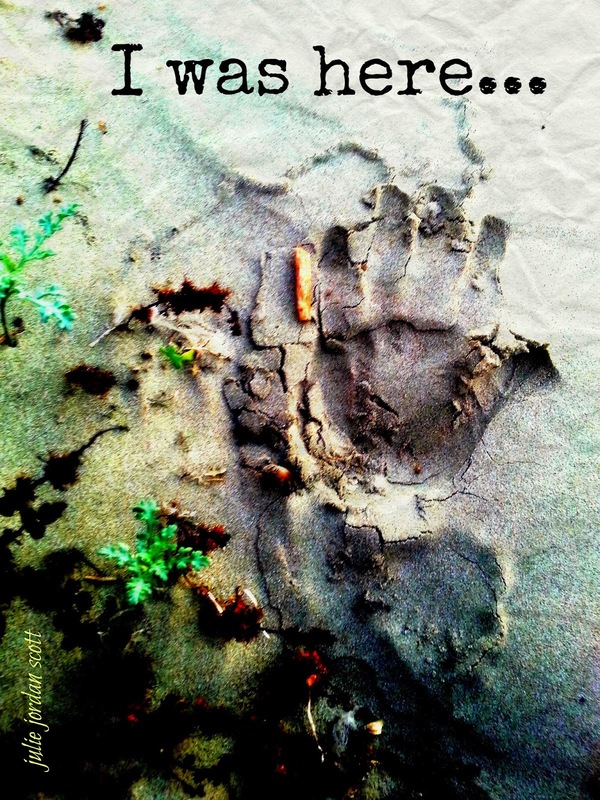 On Sunday, I noticed I left a distinctive hand print in the sand. As a creative person, you are aware how such a thing sparks the imagination. It got me to thinking where my fingerprints and handprints and footprints live on in places, with other people, in memory. It birthed the image you see here (feel free to also use the image for inspiration and on your blogs) as well as this prompt. 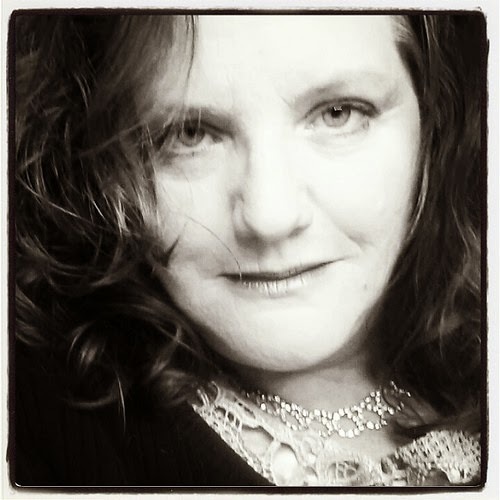 Julie Jordan Scott is a writer, creative life coach, speaker, performance poet, Mommy and mixed-media artist whose Writing Camps and Writing Playgrounds permanently transform people's creative lives. Watch for the announcement of new programs coming Fall and Winter, 2014 and beyond.